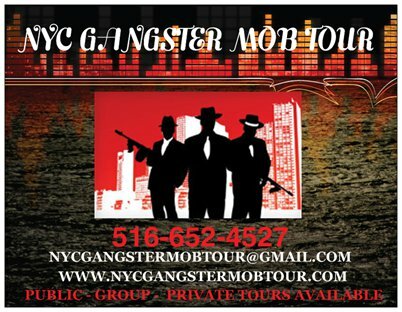 The FBI has tripled the size of its squad in Philadelphia and has brought in a well-seasoned supervisory agent from New York to oversee what appears to be the formation of a new Organized Crime Strike Force , reliable sources have told Cosa Nostra News. 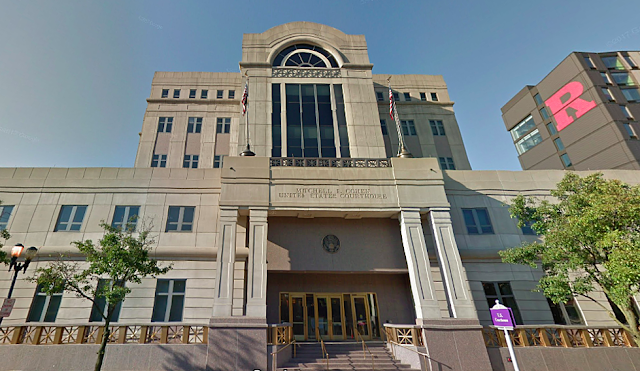 One of the operation's key goals is reportedly to nail Philadelphia Cosa Nostra boss Joseph "Uncle Joe" Ligambi and his top associates for three unsolved gangland hits in the city. 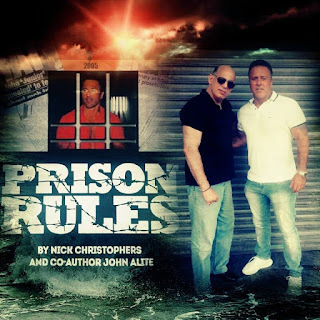 Those murders were committed while Joseph "Skinny Joey" Merlino, reputed official boss, and former consiglieri/Ligambi nephew George Borgesi were in prison. The Fed's also are aggressively investigating a mobster considered Ligambi's chief shooter from back when "Uncle Joe" was tasked with holding together a badly battered and fractured Cosa Nostra family. That was the backdrop against which the three murders, now intensely being scrutinized, were committed. That shooter is reputed Philadelphia captain Michael "Mikey Lance" Lancelotti, 51, who reportedly now assists in the running of the family's daily operations after recovering from cancer. Lance was a shooter, likely for both Merlino and Ligambi. Lancelotti "never came up in any of the major RICO trials that put lots of guys away, " a source told CNN. 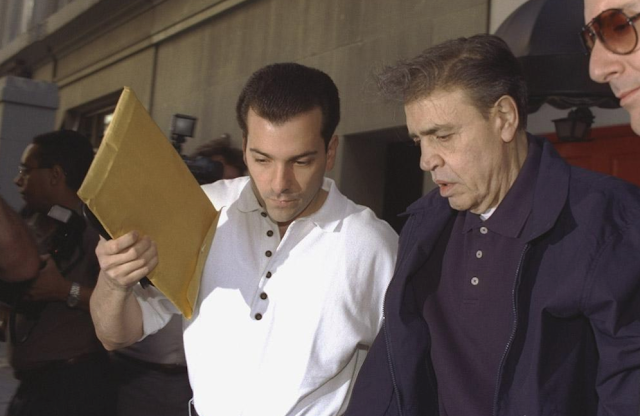 Merlino inducted Mikey Lance in the 1990s, bolstering Merlino and Stevie Mazzone's efforts to win the family war with Sicilian-born boss John Stanfa, who is now serving life for racketeering and murder. Gangster Report noted that it was told by a retired FBI agent that, “We heard Lance was possibly one of the shooters in the Joey Chang hit and Merlino planned it and was in a car nearby monitoring things." 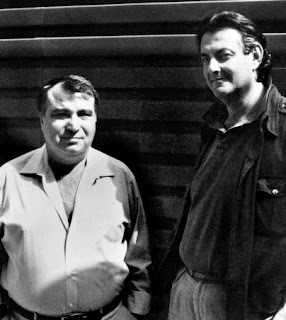 Ligambi, when he rose to acting boss after Merlino went away, created a tight-knit inner circle that included longtime Philadelphia mobsters such as Joseph Massimino, Gaeton Lucibello, and Lancelotti. "Joseph "Uncle Joe" Ligambi is a former bartender and suspected hit man who allegedly took control of the Philadelphia mob a decade ago... He was... part of the Nicodemo "Little Nicky" Scarfo crime family, having been formally initiated - "made" - after the slaying of Frank "Frankie Flowers" D'Alfonso back in July 1985. But he was never considered part of Scarfo's inner circle and never part of the mob hierarchy. In fact, before he was arrested in the D'Alfonso case, few outside of the South Philadelphia underworld had ever heard of him. His reign as reputed mob boss, however, is the longest since that of Angelo Bruno, the avuncular Mafia don who ran the family from 1959 until his murder in 1980." A cancer survivor, he was running the day to day. 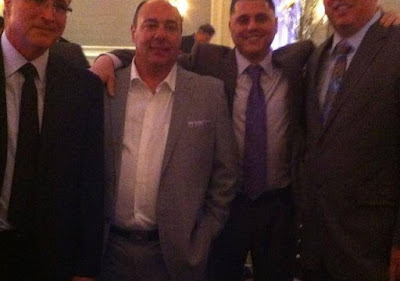 The three hits said to be part of a larger probe into the re-surging Philadelphia crime family are John "Johnny Gongs" Casasanto, a young mob soldier who couldn't keep it in his pants and was reportedly seeking to join New York's Gambino crime family; Ronnie Turchi, hit in 1999; and Raymond “Long John” Martorano, who was whacked in 2002. Members of organized crime in Philadelphia have indeed kept law enforcement busy in recent months, as reported. Federal, state and local law enforcement entities are indeed surveilling mobsters as they move in and out of the new social club on 11th and Jackson. They are monitoring the group's moves into Philadelphia's booming home building/home renovation business, which has fueled the vibrant construction work seen across the city. Ligambi is back in harness, serving as acting boss, with Stevie Mazzone reportedly serving as underboss. It was only a couple of years ago that Ligambi was talking retirement, with the media, however. This was after he got out of prison in July 2014 following two mistrials for what primarily amounted to gambling-related charges. Ligambi reportedly wanted to relax, to summer in Longport and winter in Florida. Beneath the seemingly tranquil surface there may be as many as four factions vying for control, with the very visible and very active Borgesi making moves all over the place. Today, the crime family has about 30 to 40 members on the street; plus several new members, who were recently inducted. The Philly mob hasn't been this large since the bloody days of Nicky Scarfo's reign. Mikey Lance, second on left. The FBI's Philadelphia organized crime squad was enlarged from around 3 to 4 agents, to 12, and a veteran supervisor was brought in from New York. Sources wouldn't identify him for non-disclosed reasons, but another source said the agent is believed to be a former head of the Gambino squad. 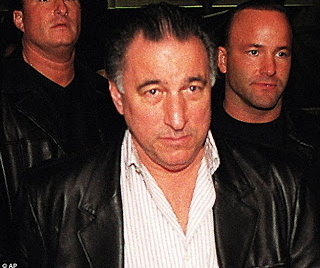 This enlargement of the FBI unit to monitor the Philadelphia Cosa Nostra clan, which interestingly hasn't been named after a boss since the violent Nicodemo "Little Nicky" Scarfo era is likely part of a new Organized Crime Task Force that would include state and local law enforcement agencies, as well, sources said. This follows a few moves made by elements of the Philadelphia-based Cosa Nostra clan that raised the Mafia family's profile in media reports. 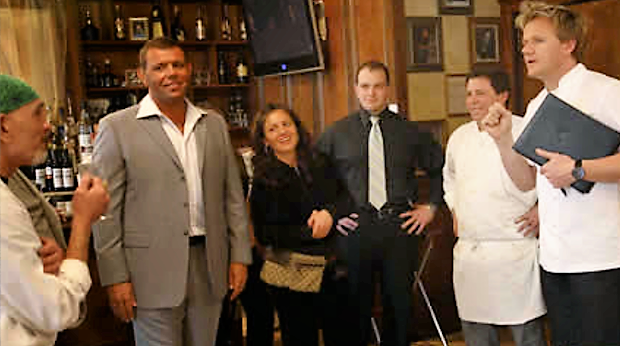 The Philadelphia mob recently opened up a social club and also inducted five new members last October. News of the ceremony was quickly leaked to the media. "Borgesi is in full-throttle," said one source, noting that he's been very visible lately, visiting the club on 11th and Jackson Streets. 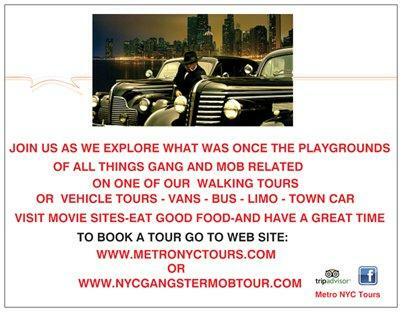 He's also been holding meetings there supposedly with gangsters from other regions of the country. "Uncle Joe" has been seen going to the club less frequently. Still, all of them are under major surveillance, sources said, with one noting, "The Feds are watching them like a hawk." 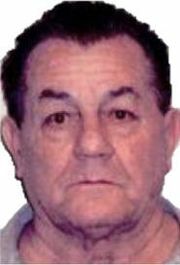 Anthony Accardo, a violent associate who was one of about a dozen local mobsters indicted in 2000 on a slew of racketeering charges. 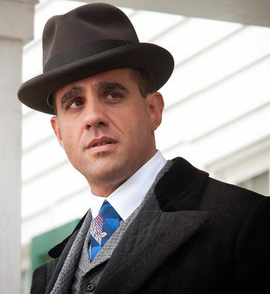 Accardo pleaded guilty but refused to testify against reputed mob boss Joseph "Skinny Joey" Merlino and other mob members. This is likely a key reason he got his button. As prosecutors said at the time, Accardo had bolstered his street cred exponentially and is now viewed by area gangsters as "a stand-up guy." "He will be in a perfect position to step right back into these criminal actions" when he gets out of prison, the prosecutor predicted. Ligambi, part of the Scarfo gang, also had ties to Merlino's father and showed he had the chops to be boss and keep the family together. Ligambi gets kudos (ironically from both law enforcement and the Five Families) for stabilizing the troubled Philadelphia-South Jersey branch of the American Cosa Nostra, thereby ending the violence. He also revived the crime family, which was close to extinction. Montreal's 3rd Mob-related Hit in One Month? Godfather Board Game: "Thugs on a Map"